Something looks a little different around here! Pretty obvious what that something is right? I changed the wordpress.com theme I had before for two reasons. The first is that I simply was a little bored of the one I had ever since I started blogging last year. The second reason is more beneficial to the type of content I post. The previous theme I had was developed for 800x600 resolutions. This is the default wordpress.com theme for blogs and was newly created this year with bigger resolutions in mind. 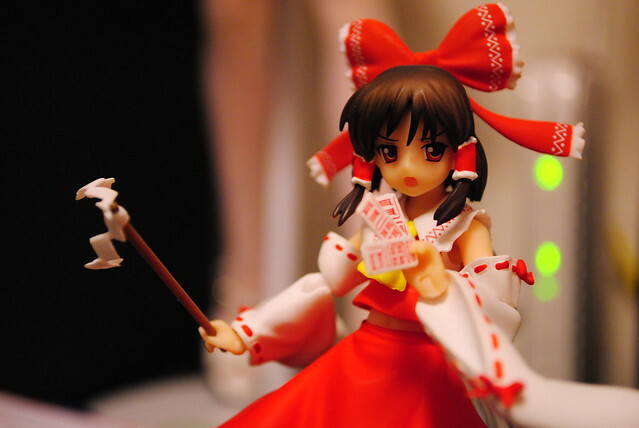 To put it simply, I can put bigger pictures than before as you can see by taking a look at Reimu above. HA! This time it is shorter!